By Hammad Saleem on 01/15/14 • Leave a comment! 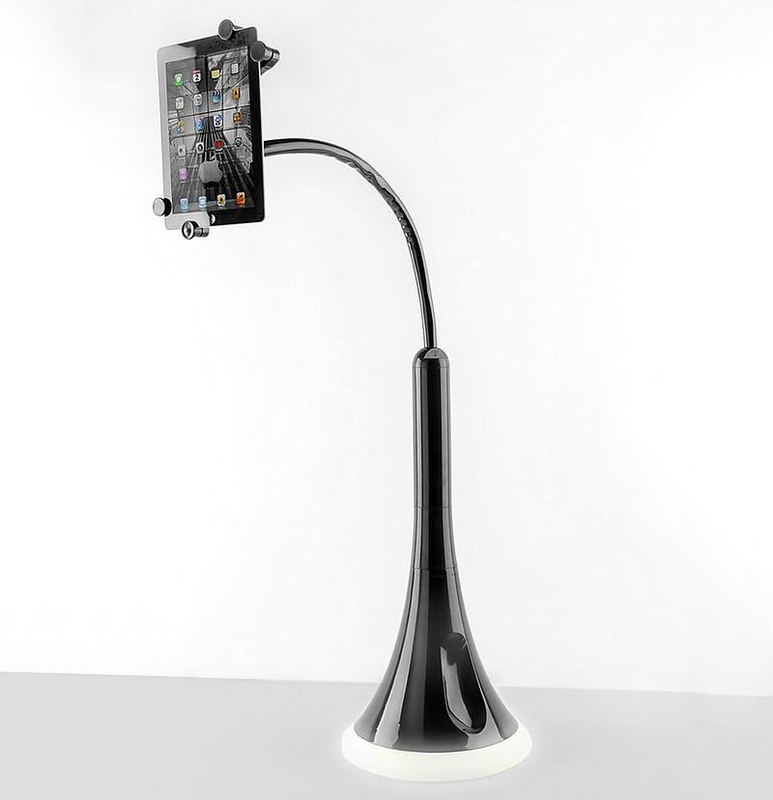 A Holland-based company known as Spell has recently launched their latest product, The Stage. This interesting new furniture design claims to help you with all the unwanted cables in sight in a very fashionable manner. 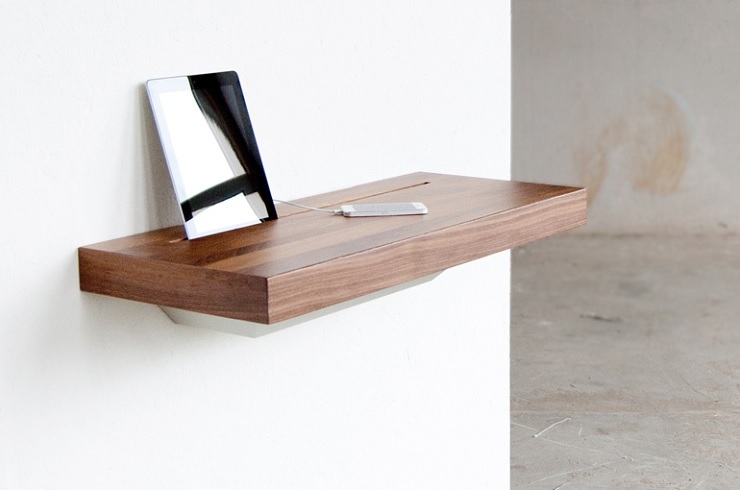 Though the purpose of these shelfs are to get rid of the cables, they can also be served as a small workplace. With this innovative design that brings enough space underneath to hide a power strip, the “Stage” can easily be used as a fully functional charging and meeting station. The Stage top is made from Solid American walnut while the base from epoxy coated steel and durable foam-rubber. It can easily be mounted on most common walls in your home and has enough space to hold up a five-plug international powerstrip. The company also gives an option to produce the “Stage” in solid oak, oak white and in optional leather inlay. They are always willing to go one step ahead to meet their customer needs. By Hammad Saleem on 01/07/14 • Leave a comment! The International Consumers Electronics Show 2014 kicked off, and many manufacturers already unveiled a bunch of their products. 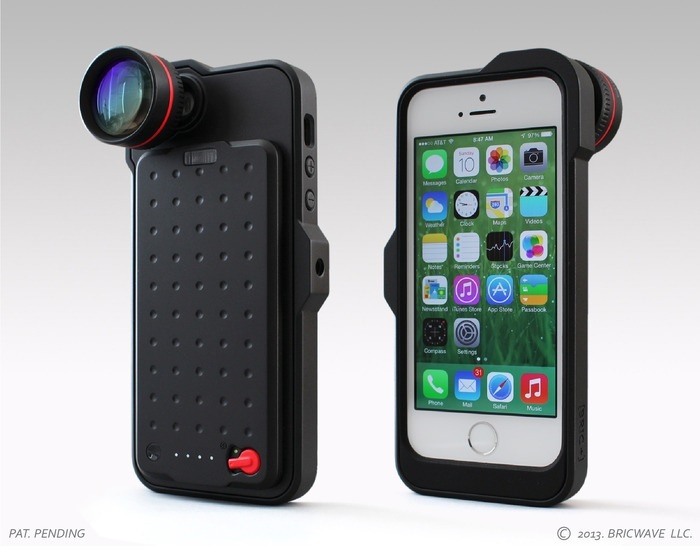 Morphie, a popular case maker, recently unveiled their latest Morphie Space Pack which does not only improves the battery life of iPhone 5/5S, but also provides users with extra storage space. 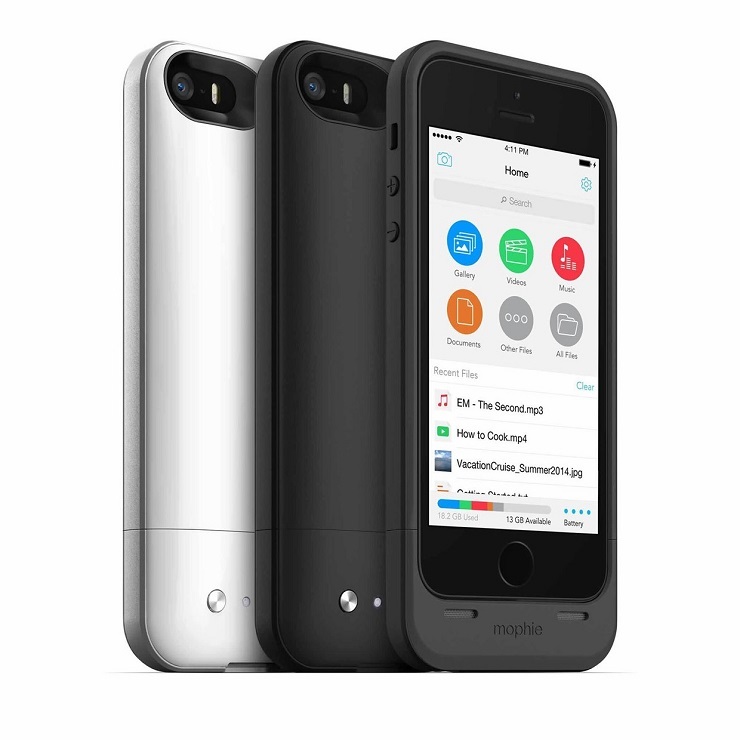 The Morphie Space pack comes with a 1700 mAh battery, as well as an option to choose from 16GB or 32GB storage space. It works via lightning port on the iPhone 5/5S, and provides users with additional storage as well as doubles the battery life. The 16GB model costs $149.95 while the 32GB versions is going to set you back by $179.95. The new Space Pack is set to ship on March 14th. By Hammad Saleem on 12/23/13 • Leave a comment! I still remember the rubber band wars during my school years. It was pretty annoying when you get hit by one, but shooting them at others appeared to be the best feeling. 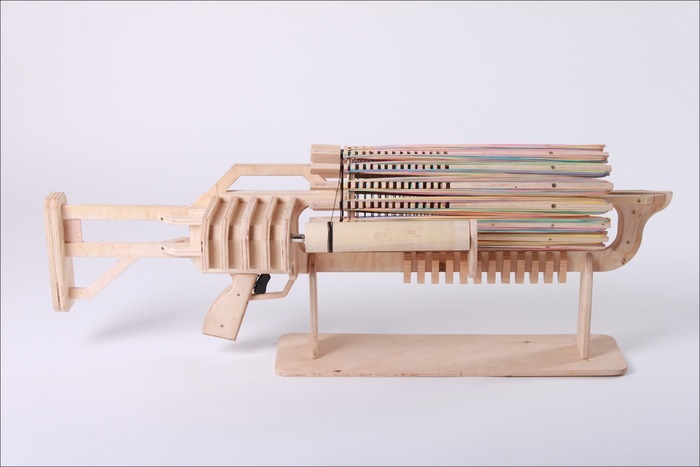 Keeping that feeling in mind, Alex Shpetniy and Brian Dinh have created a Rubber Band Machine Gun, yes, you’re reading it right. The Rubber Band Machine Gun consists of 672 rubber bands, with a firing speed of 14 shots per second. The machine gun comes with 700 spare rubber bands and will be available in three different colors. By Hammad Saleem on 12/19/13 • Leave a comment! If you’re looking for something truly amazing and creative, take a look at this Lego car created by Steve Sammartino and Raul Oaida using 500,000 pieces of Lego and 256 pistons. The thing which makes it totally awesome is the engine, which is also made of lego pieces with four orbital engines and runs on air, at a maximum speed of 20-30 miles per hour. It could go faster, but the creators decided not to push the limits as there’s a risk of ‘Lego explosion’, which is totally justifiable. Interestingly, the Lego car was created on Romanian shores and was shipped to Melbourne. How awesome can it be? If you ask me, I simply love the creativity of both Steve and Raul, who met belong to different parts of the world and met on the internet. Find out more details about the project at Super Awesome Micro Project link below. By Hammad Saleem on 12/18/13 • Leave a comment! External and high capacity batteries are becoming popular these days. Users with heavy usage either carry a spare battery, if their handset comes with a removable one, while other prefer to use cases with external battery or a battery pack that can help them charge their devices. If you’re looking for a powerful and durable external battery pack, take a look at NewTrent’s PowerPack Ultra. This beastie comes with a massive 14,000 mAh battery, which is more than enough to charge a smartphone up to six times. The battery pack has dual USB ports, with one carrying 2.1A while the other one comes with 1A, which can be used to charge smartphones. NewTrent guarantees that PowerPack Ultra can survive 500 charge cycles, which is pretty amazing. 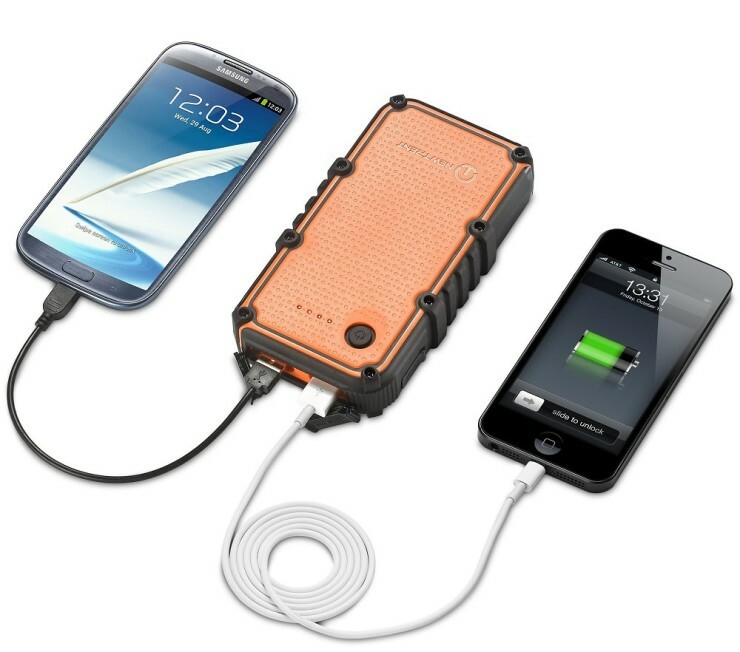 The battery pack is water-resistant and requires almost 12 hours for a full charge. PowerPack Ultra comes with a $69.95 price tag and can be purchased from the product page link below. Google Play Store contains over a million applications, ranging from productivity to business and many more. There are so many applications which can make your life easier in different occasions, whether its business-related or household. If you’re one of those people who love cooking, and looking for an application which can teach you all sorts of delicious recipes and dishes, take a look at Allthecook Recipes for Android. As the name suggests, the application has over 150,000 recipes of all types of dishes; western, continental, etc. sorted in different categories. 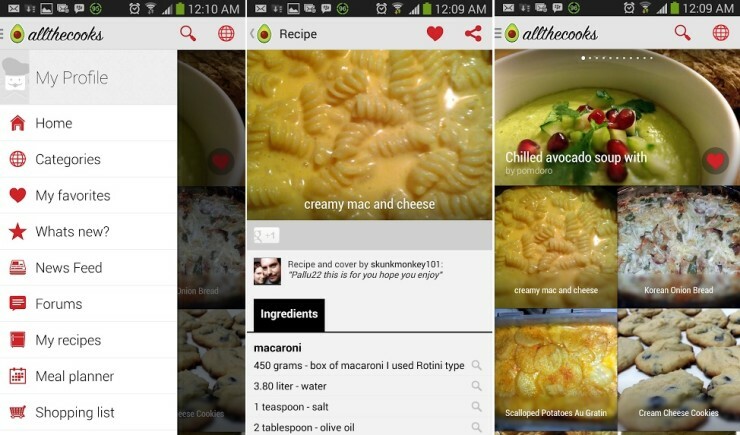 You can browse recipes which includes images, complete directions and reviews from other users of the application. The application also give users the ability to create their own recipes and share it with their friends, and rest of the Althecooks Recipes community. The application also comes with a forum where users can discuss new recipes and communicate with other members. Users can also manage their shopping lists and meal planners. In conclusion, it’s a highly recommended application if you love cooking and want to learn new recipes every day. Several rumors are circulating all over the internet about the launch of the purported HTC M8, expected to be the successor of HTC One which was codenamed M7. So, we won’t be surprised if the Taiwanese manufacturer releases the device with a different name. There’s no word from HTC about One’s successor, but designers on the internet are thinking beyond their imagination to come up with the concept design of the alleged handset. 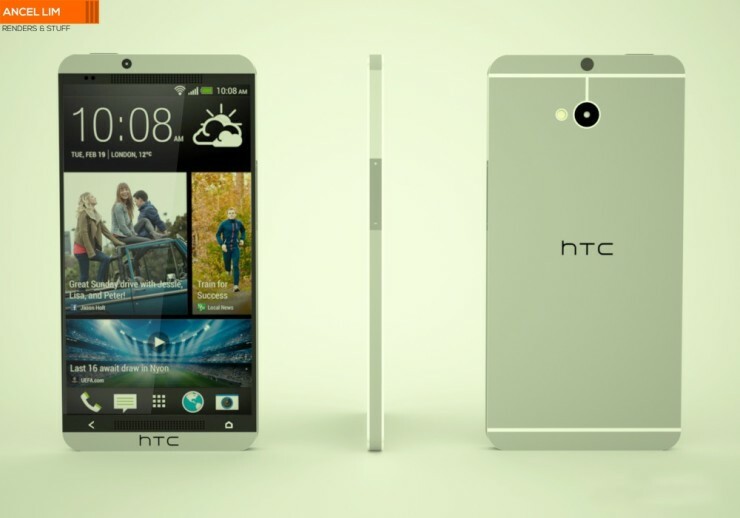 Among them is Ancel Lim, who created a concept render of what the upcoming HTC flagship device could look like. Keep in mind that this is just a concept design and not something official. Based on rumors, HTC M8 is rumored to come with a 5-inch full HD display with 1080p resolution, a quad-core Snapdragon 800 chipset with a clock speed of 2.3GHz, 2GB of RAM and is expected to run Android 4.4 KitKat pre-installed out of the box. The alleged HTC M8 is expected to see the daylight in February next year, possibly at the Mobile World Congress 2014.